IAM International President Tom Buffenbarger has announced the appointment of Brianna Gregory as IAM Transportation Department Education Representative. Gregory initiated into Local 2202 in 2004 as an Alaska Airlines Passenger Service Employee. Brianna served as Local 2202 Chief Steward, Shop Steward, Communicator and Trustee. She also served on Local 2202’s Women’s, Bylaws, Organizing and Legislative Committees. Gregory was also a vital part of numerous national organizing campaigns, including the successful United Airlines Ramp and Passenger Service campaigns. She defended the IAM membership against the Teamster raid at US Airways and she has been instrumental in the current Delta Flight Attendant campaign. Brianna has completed all the Leadership and Organizing courses at the William W. Winpisinger Center and has been an active participant in the Young Machinists since its outset. 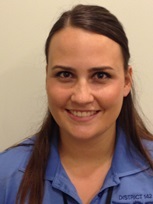 A native of Seattle, Brianna will begin her new assignment effective October 1, 2014.